IDX Stories National Reconciliation Week - Celebrating the use of technology to share culture. National Reconciliation Week – Celebrating the use of technology to share culture. This week is National Reconciliation week. A time for all Australians to learn about our shared histories, cultures and achievements. Technology has created a new way to share and preserve our stories and engage with different audiences. The IDX Awards Culture and Country Category celebrates the use of technology to capture stories and share culture. 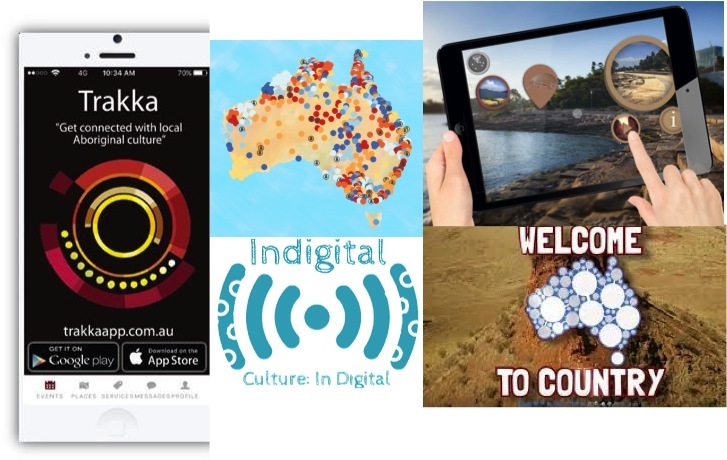 Here are just a few apps and websites that have been created by Indigenous organisations and entrepreneurs, with the aim to strengthen and share culture. A Welcome to Country is a practice that has taken place for thousands of years in Indigenous Australia. 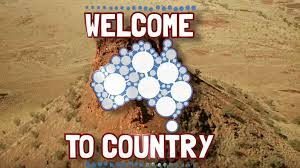 The Welcome to Country iPhone app developed by Ngarluma man and Founder of Weerianna Street Media Tyson Mowarin, fuses age-old culture with modern technology with the aim to educate the user on culture and heritage protocols right across Australia. Using geo-location technology the app sends a push notification when the user crosses into a different nation, and a Traditional Owner welcomes them to country via video. “I wanted to do all I could to share Indigenous culture with everyone, because I think a lot of Australians can go through life without knowing anything about Aboriginal culture,” Mr Mowarin said. The current version of the app spans more than 30 nations, but Mr Mowarin aims to include around five hundred nations that make up Australia. The Barangaroo Ngangamay app uses AR (augmented reality) technology to bring to life the ancient stories of strength, diversity and creativity in a modern context. 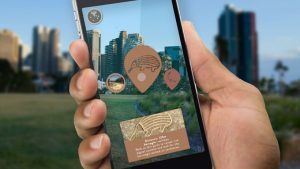 Created by renowned Aboriginal multi-media artists Amanda Jane Reynolds and Genevieve Grieves, the app seeks to enrich the experience of visitors to the parklands and to share Barangaroo’s story. “Barangaroo Ngangamay is an honouring of the ancestor, the Old Lady Barangaroo. It’s an offering by all the women coming together, and a sharing of culture with everyone who’d like to come down here to the reserve,” Amanda Jane Reynolds said. Noongarpedia is the first Aboriginal Wikipedia page in Australian history. It aims to create an online encyclopaedia that supports two-way learning. Rather than trying to make “Noongar way” fit in the Wikipedia structure, the Wikimedia Australia team and the Noongarpedia team have spent three years finding a way where both ways of sharing knowledge and the systems in which they operate respect and compliment each other, even to the point where dual language and online translators through the development of a Wiktionary (Wikipedia dictionary) has been created for Noongar language. You can view Noongarpedia here. Indigital uses drones, 4D mapping software, image recognition technology and cultural law to bring the world’s cultural sites alive through augmented reality. The Indigital Storytelling app is an augmented reality Indigenous cultural app that brings the world’s oldest living stories to everyone through the world’s newest technology. They are currently running a kickstarter campaign. You can find out more about the project here. 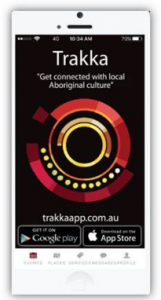 The Trakka app, developed in collaboration with the City of Fremantle by Indigenous Consulting Group is Australia’s first app to pull together a calendar of Aboriginal and Torres Strait Islander events, festivals, dates of significance. Through the use of the app, Indigenous Consulting Group hope it encourages cultural engagement in a way that builds long-term change. 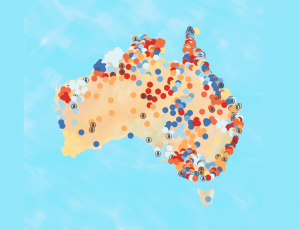 First Languages Australia is working with regional language centres nationally to develop a map of Australian languages that reflects the names and groupings favoured by community. You can find out more and view the map here.